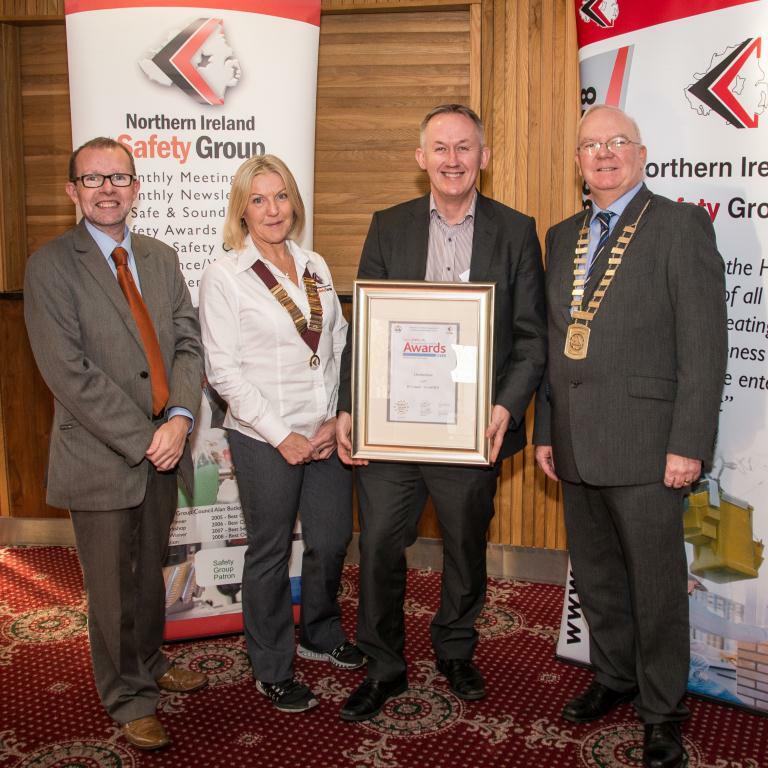 Members are eligible to enter the All Ireland Occupational Safety Awards. 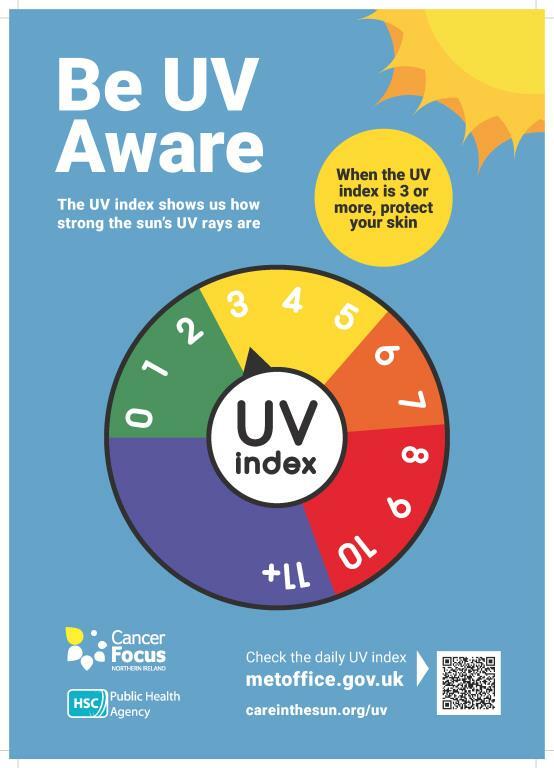 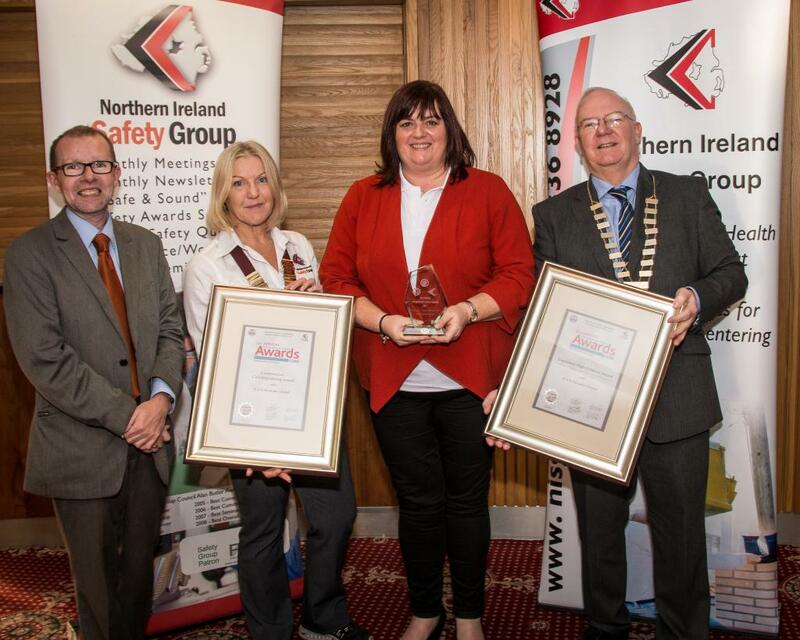 The Awards have a dedicated and detailed website was jointly commissioned by the National Irish Safety Organisation and Northern Ireland Safety Group which answers any questions/queries that an entrant might have. 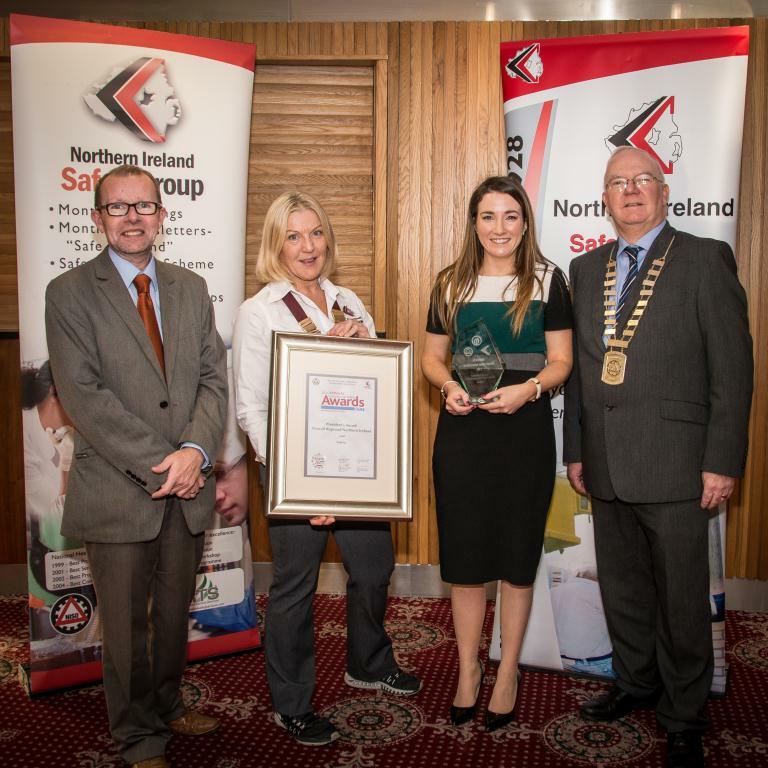 You'll see details on why enter, the Award Categories, how to enter, FAQ's and a wealth of other information which is very helpful for entering. 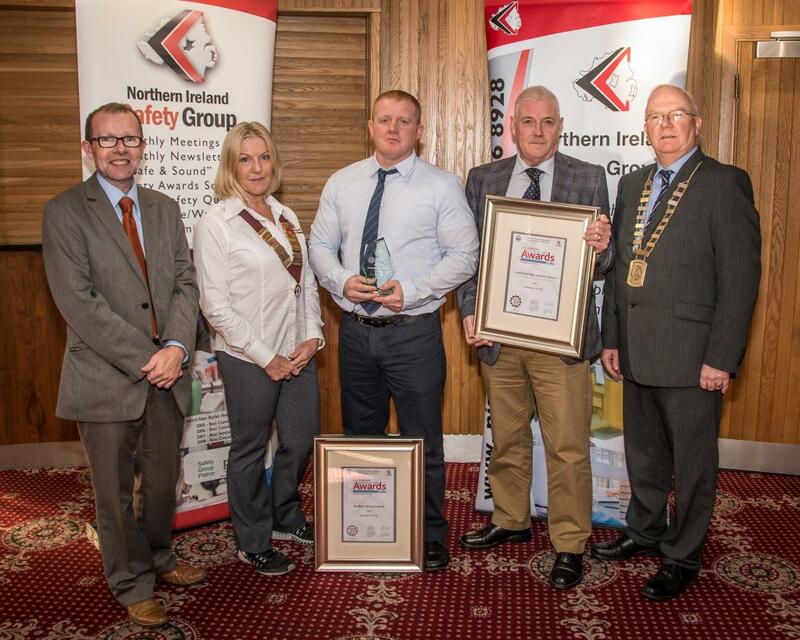 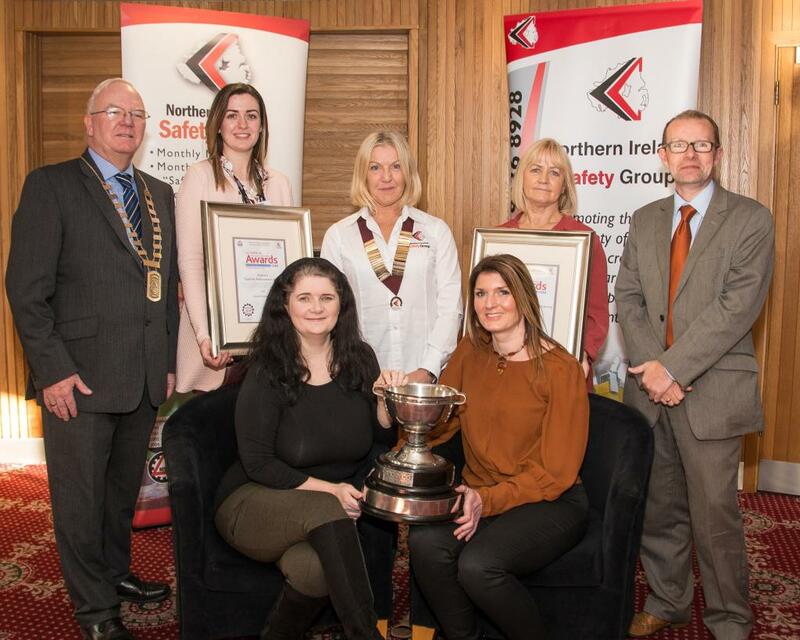 Winners photographed with Mandy Nelson, Chair, Northern Ireland Safety Group, Harry Galvin, President, National Irish Safety Organisation and Keith Morrison, Chief Executive HSENI. 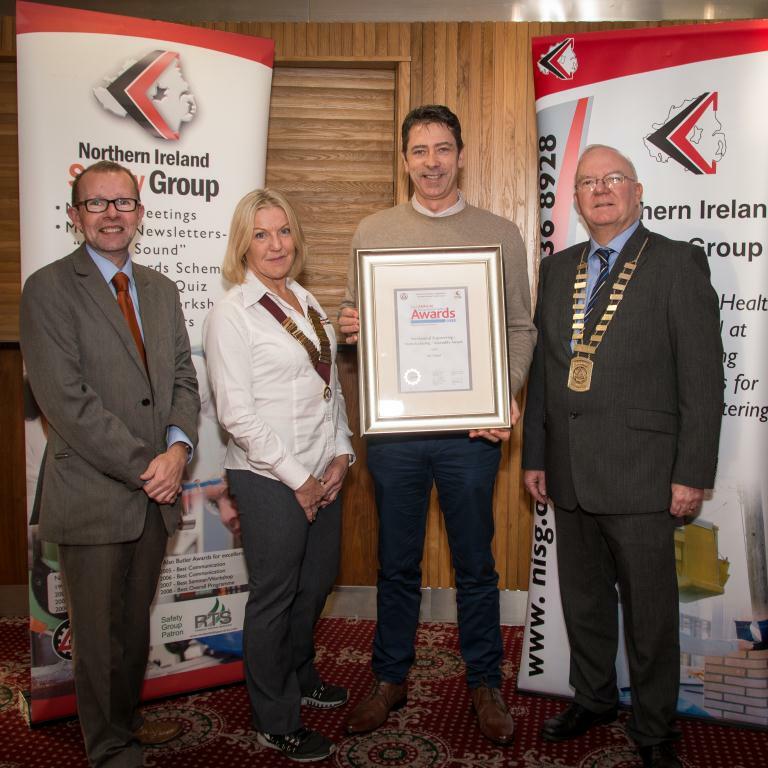 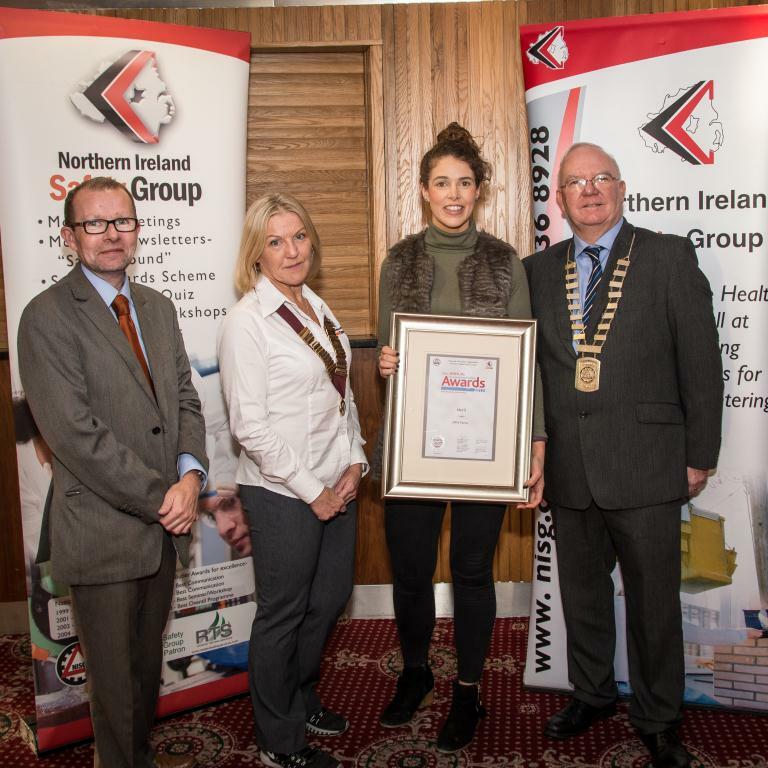 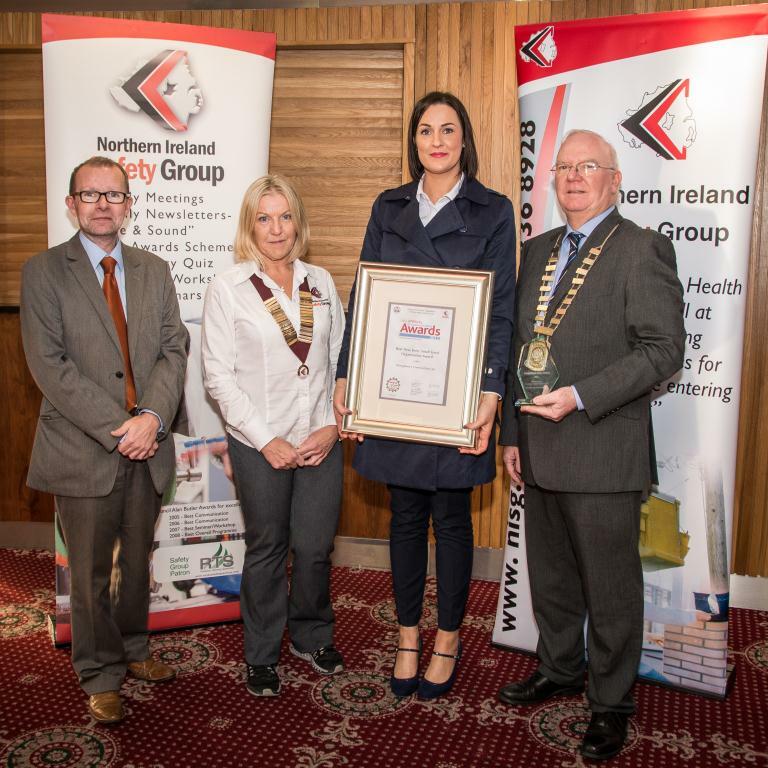 xxBest New Entry Small Sized Organisation - Gail Henry from Donaghmore Construction Ltd.
Northern Ireland Award - Greg Livingstone and Gary Saunders from Montupet UK Ltd. 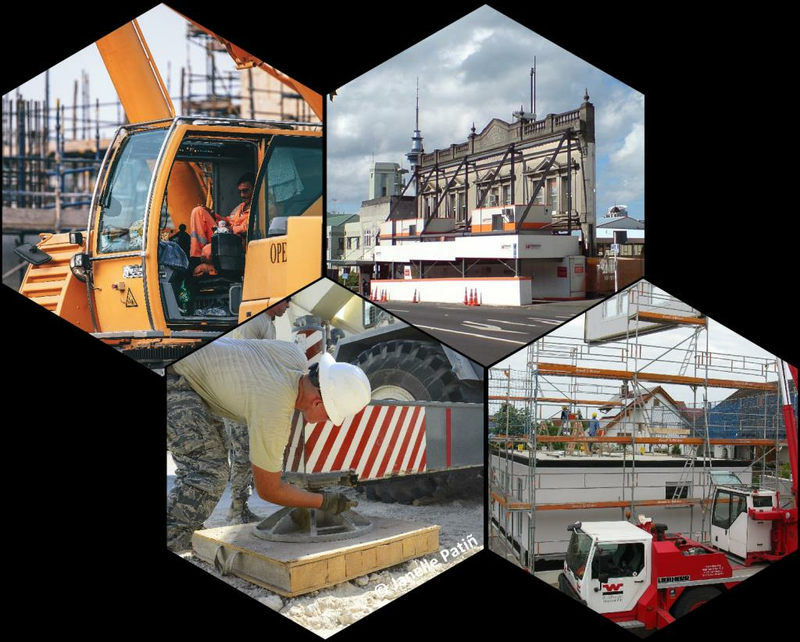 Distinction - Adman Civil Projects Ltd.